Daylight Saving Time happens in multiple countries across the globe and in many places the DST keeps changing every couple of years. IMPORTANT NOTE: If your system is configured with online NTP pool servers then you need not worry about the leap seconds or DST changes as NTP server will take care of all these changes and will adjust your system clock accordingly. Below article assumes that you don't have a NTP server and are dependent on locally installed timezone (tzdata) rpm. How do I check the planned DST changes for a timezone? For example I would like to see the planned DST changes for CET timezone. Sunday, 25 March 2018, 03:00:00 local daylight time instead. Sunday, 28 October 2018, 02:00:00 local standard time instead. So we know that my local timeone rpm is capable enough to handle the DST changes. But do we know it will really work? # date --set "25 Mar 2018 1:59:56 CET"
# date --set "28 Oct 2018 02:59:56 CEST"
So the DST ended with expected timeshift from 02:59:59 to 02:00:00. 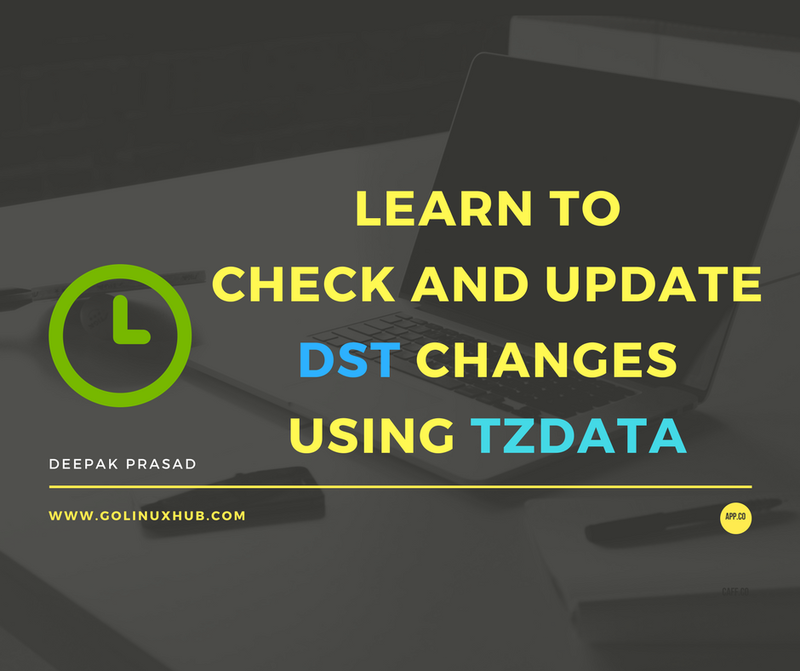 What should I do if the timezone (tzdata) rpm does not has planned DST changes? 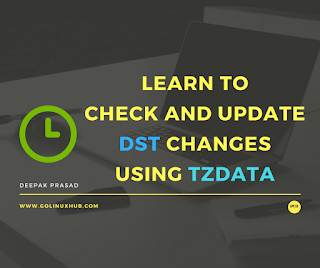 Many times it can happen that the DST schedule changes without much prior notification, so in such situation you are very much dependent on NTP but what if you don't have NTP server? In that case you have to make sure you have the latest timezone (tzdata) rpm which has the new changes for the specific timezone. As you see if I check the planned DST changes for the year 2017, it still shows me that the DST will start on '26th March' from 'EET' to 'EEST' and will end on '29th Oct' from 'EEST' to 'EET' again. than an invented abbreviation for the new time. So now lets see if this timezone has the updated information about the new time changes from Turkey government. IMPORTANT NOTE: The above will only update system level timezone, all the java applications follow their own timezone hence you have to make sure you update the tzdata of your JRE separately or else your java based alarms will continue to use old date and time.